to Relieve Stress and Chronic Pain. Thank You for Your Service! WELCOME HOME! This program has been supported by a grant from the Texas Veterans Commission Fund for Veterans’ Assistance. The Fund for Veterans’ Assistance provides grants to organizations serving veterans and their families​. Join the Vet TRIIP ﻿﻿AmazonSmile﻿﻿ program and Amazon donates 0.5% of your eligible purchases on Amazon. *The statements found within this website have not been evaluated by the Food and Drug Administration. If a treatment, product or supplier is listed or recommended in these pages, it is not intended as medical advice or to diagnose, treat, cure, or prevent any disease or medical condition. The information contained herein is meant for general education purposes only and is in no way intended to provide individual medical advice which should be obtained from a qualified health practitioner. 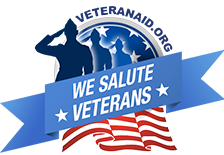 We encourage veterans and individuals with medical and mental health conditions to seek medical care from the VA, the Vet Centers or other qualified health care providers. Individuals with a medical or mental health crisis should call 911. Vet TRIIP, Inc., BeneSol, LLC and their representatives assume no responsibility or liability and makes no warranty for the use or misuse of this information or the products and services mentioned herein. All trademarks, registered trademarks and servicemarks mentioned on this site are the property of their respective owners. This website is owned by BeneSol, LLC © 2014, 2015, All Rights Reserved. Vet TRIIP is a Texas Nonprofit which solicits donations in Texas. *IIP Sessions include all of these modalities.